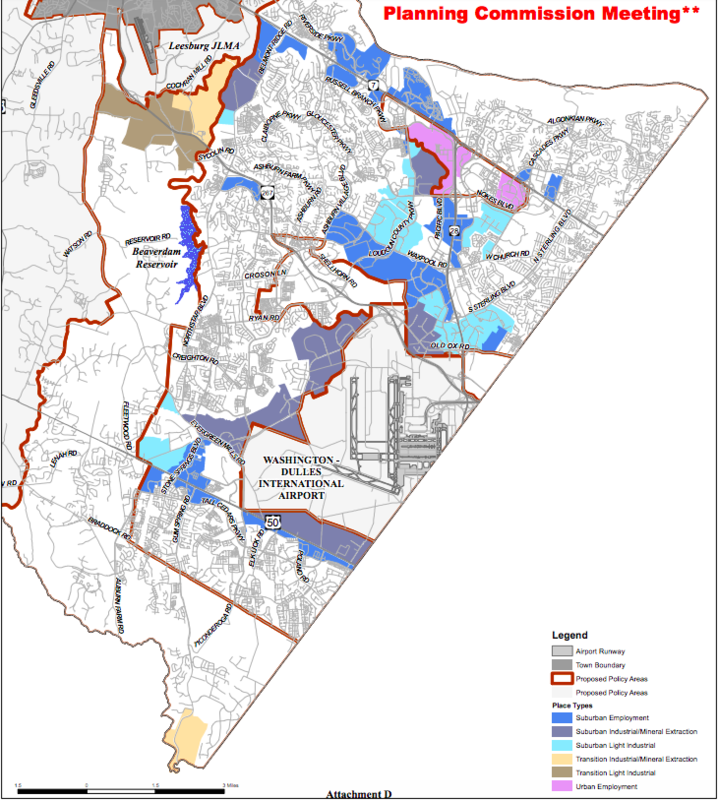 As they grapple with the county’s new comprehensive plan, which will guide development in Loudoun for decades to come, county planning commissioners are considering a map that will lay out definitively where future data centers will be allowed. Commissioner Jim Sisley (At Large) questioned the current draft of that plan, which designates “place types” throughout Loudoun with guidelines for density of development and what sorts of businesses and residences would fit in those place types. Sisley and others worried that, while those broad place types are meant to make the comprehensive plan easier to understand, they do not narrow down for planners where data centers are allowed. For example, one place type, “suburban employment,” includes both areas that already have data centers, such as along Waxpool Road, and areas where they would be out of place, such as the banks of the Potomac River. Planning Commission Chairman Cliff Keirce (Broad Run) suggested a separate “data center zone” be overlaid on the county’s maps. While that approach would buck the trend of the new comprehensive plan toward “flexibility” to meet market changing demands—by writing less-specific planning policies—he also said he’s OK with that. “You don’t get to build everything everywhere,” Keirce said. “You’ve got to have some limitations on it, and we’re kind of seeing more and more that data centers are stretching where we think they belong, and this would just be a way to curtail it a little bit.” Other commissioners agreed. In recent years, data centers have been proposed and in some cases approved in places where they have never before been contemplated or that draw public protest, such as the Board of Supervisors’ narrow vote to allow a data center complex on a wooded property along Sycolin Road on the banks of Goose Creek. Assistant Director of Planning and Zoning John Merrithew said he would bring some options to the commission at a future meeting. The suggestion was an exception to work in the new plan to make it more flexible and simpler than the current comprehensive plan. The new plan describes a number of place types, such as “suburban town center,” which depicts areas that “provide opportunities for a mix of uses arranged in a pedestrian-friendly urban form to include commercial, entertainment, cultural, and recreational amenities that are responsive to resident and consumer preferences.” It envisions multi-story, mixed buildings among walkable streets, and proposes residential, office, entertainment, and institutional uses. In their review so far, the commission has taken that work even further, combining some similar place types to “something that’s a little bit more approachable, something that’s little bit easier to use,” according to Loudoun County Planning Manager Dan Galindo. A map from the latest draft of the new comprehensive plan show in colors the areas in which data centers would be permitted. Commissioners are debating whether to create a separate map that limits where data centers would be allowed.